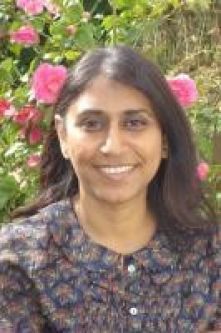 Professor Anita Patel is a health economist, based at the Centre for Primary Care and Public Health at Queen Mary University of London. Among other roles, she is lead health economist for the Pragmatic Clinical Trials Unit, which provides expertise to research studies, regarding design and conduct. Anita’s research focuses on the cost-effectiveness of healthcare treatments, within multidisciplinary clinical trials. She has expertise in long-term and difficult to manage conditions, including stroke, and has contributed to national and international guidelines. Current and recent work in the stroke area addresses the effectiveness and cost-effectiveness of training care-givers after stroke, different strategies for stroke care and different strategies of antibiotic use during the acute care period. She is also leading a study estimating the future costs of stroke in the UK. 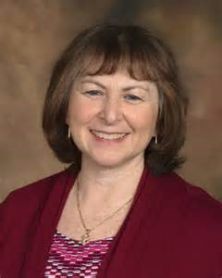 Professor Leora Cherney is a speech-language pathologist and Professor in the Departments of Physical Medicine and Rehabilitation, and Communication Sciences and Disorders, at Northwestern University, USA. She is a Senior Research Scientist at the Rehabilitation Institute of Chicago where she also directs the Center for Aphasia Research and Treatment. Her major interests lie in rehabilitation approaches for people with aphasia. Some of Dr Cherney’s earlier research for people with aphasia provided encouraging results that language outcomes can improve with a combination of cortical stimulation and intensive language practise. More recently, she has described some innovative oral reading and script-based treatments that allow people with aphasia to practice their language more independently and intensively at home using state-of-the-art computer technology with a ‘virtual therapist’. Dr Cherney is also investigating factors that influence the therapeutic process including the role of cuing, feedback, and treatment schedules. Professor David Copland is a principal research fellow and speech pathologist at the University of Queensland (UQ), Australia. 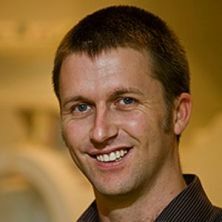 He is deputy chair of the Research and Postgraduate Studies Committee of the UQ School of Health and Rehabilitation Sciences and is a group leader at the UQ Centre for Clinical Research where he leads the language neuroscience laboratory. He conducts research in the areas of language neuroscience, psycholinguistics, and neuroimaging of normal and disordered language with particular interests in people with aphasia post-stroke, pharmacological modulation of language and cognition, and language and cognition in Parkinson's disease. Some NHMRC funded grants he is involved in include, predicting and promoting aphasia recovery, understanding the neural mechanisms of language facilitation in aphasia due to transcranial direct current stimulation, and several aphasia treatment trials (LIFT and COMPARE). Dr Madeline Cruice is a speech and language therapist and Senior Lecturer specialising in quality of life in aphasia, at City University of London. She has worked across academic and clinical settings with appointments and secondments at Royal Brisbane Hospital, Homerton University Hospital NHS Foundation Trust, the Connect – communication disability network, and with London-based Stroke Association communication support groups. Her research has focused on the relationship between communication and quality of life for people with aphasia, and the application of quality of life in adult clinical practice, with particular interests in psychosocial wellbeing, goal setting and outcome measures, and the impact of aphasia on the process of quality of life evaluation. Her current research focuses on technology training to address speaking, reading and writing impairments in aphasia (CommuniCATE Project), and the impact of education on clinicians’ views and use of quality of life measures in clinical practice (CCLIPA). Dr Cruice is the lead for the Societal Impact and Reintegration Research Working Group, in the European Collaboration of Aphasia Trialists, and Advisor on Aphasia to the Stroke Association, UK. Associate Professor Miranda Rose is a Principal Research Fellow in the School of Allied Health at La Trobe University, Melbourne, Australia. A Speech Pathologist by background, Miranda’s research focuses on finding effective treatments and management strategies for aphasia. Her recent work spans community aphasia groups, practice guidelines, acute rehabilitation, healthcare communication, gesture modelling, gesture therapy, and evidence-based practice. Miranda’s current grants include an investigation into the efficacy of high-quality aphasia groups (Australian Research Council Future Fellowship); development of a healthcare communication app (La Trobe University); and the COMPARE trial (NHMRC funded). The COMPARE trial, which is currently in progress, includes participants with chronic aphasia from across Australia, and compares the outcomes of three treatments: multimodal aphasia therapy (M-MAT), constraint induced therapy, and usual care. In the run up to the abstract submission deadline (22nd April 2016) we will share more about the keynote speaker research profiles. May 2016: Notice of acceptance.